The Black Forest Highland Region and The Tourist Board of Germany visited Mumbai recently to showcase Germany’s winter offerings in a bid to draw more Indian travelers to the South West region of the country during the winter season. Consul General, Michael Siebert of the Consulate General of Mumbai revealed that, in a bid to ease the visa application process, the body will be opening visa facilitation centers in Pune, Mumbai, Ahmedabad and Goa in 2014. These centers will be opened in association with VFS Global. In the last few years, Germany has witnessed an increase in Indian footfall and Indians are also recorded as one of the biggest spenders in the country. According to the Marketing and Sales Manager Overseas of State Tourist Board Baden, Katharina Mariko Kress –Wurttemberg in South West Germany has seen a 12.5% increase in Indian footfall from January to June 2013, with an average stay of 6 nights. She added that they recorded 74,628 overnights between January and June this year, and if July is included, the number goes up to 90,000. She also added that EUR 175 is the average spend by the Indian market per person per day. According to the Director – India of South West German Tourism, Hector D’Souza, Germany has been unaffected by the weakening of the currency because the Rupee depreciation is compensated by the reasonably priced StuttCards, hop on hop off tours, discounted fares of rail cards etc. D’Souza added that Lake Dwelling and Dwelling Museum, Castle Road, the Christmas Market (November end to December) and Stuttgart Wine Village and beer festival will be largely promoted. He further stated that MICE is going to be part of the region’s focus in India. According to the Tourist Board, South West Germany is famous for its packages, ample rooming facilities and convention centers. Previous year, one million MICE visitors were welcomed by Stuttgart alone at its convention centre. While speaking about other tourist attractions in South West Germany, Siebert added that culture and car museums, culinary and wine tourism and heritage tourism are popular. He said that they want to spread awareness that when it comes to sports tourism, Germany is not just Formula 1 and football. Hence, they offer soft spots like swimming and hiking and also provide accommodation that caters to a range of budgets from luxury hotels to dormitories. 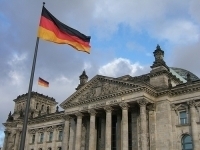 For more information on Germany follow us on Facebook.